Do male writers get distracted by housework? This question has been irking me for a while, but to be honest, I’ve shied away from it for fear of the stink it might cause. But, hey-ho in for a penny, in for a pound! Why not put it ‘out there’ on my new blog? Does your writing time get squeezed by laundry? Does it get slashed by cooking and preparation of family meals? Does it only get started late at night once everyone else in the house is fed, watered and in bed? 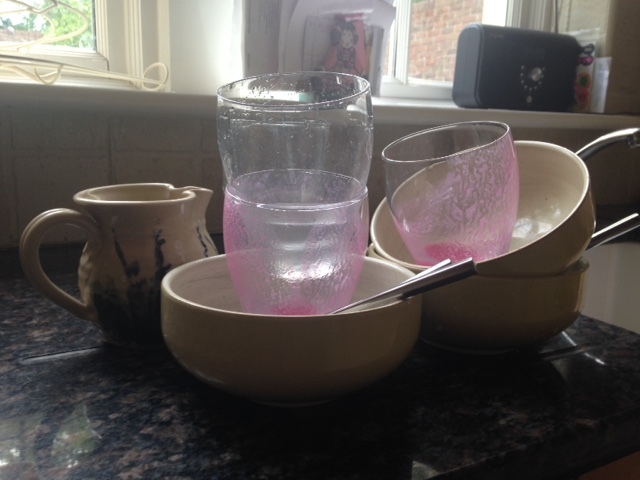 Do you suffer guilt if you leave the breakfast dishes by the sink? Do you hoover before you sit at your desk? My guess is, probably, no. The above examples are just a few of the reasons, why there are so few women earning a living from writing compared to men. My guess, is that men think, ‘sod the washing; it can wait’. My guess, is that men use their singular-tasking brains to give them tunnel vision to the end. My guess, is that men ignore all the domestic distractions and ‘Just Do It!’ Am I right? Men out there, please let me know. And as for us ladies, it’s time to take a lead from the men, and JFDI! ← So many books, so little time. Happy weekend everyone. As a male writer with a predilection toward cleanliness…the answer is yes, yes we do. I suggest you become unclean and untidy! Drives my tidy husband mad, but I get more writing done! 🙂 Thanks for reading.